Obedience is a very important part of the Schutzhund program. It´s basic for Protection and Tracking. It´s very good in getting a bond with your German Shepherd Dog. 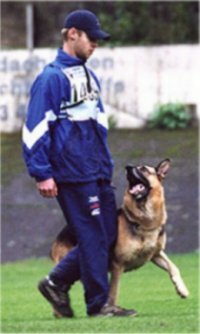 And, when intsructed well, it´s fun for both dog and handler (owner).